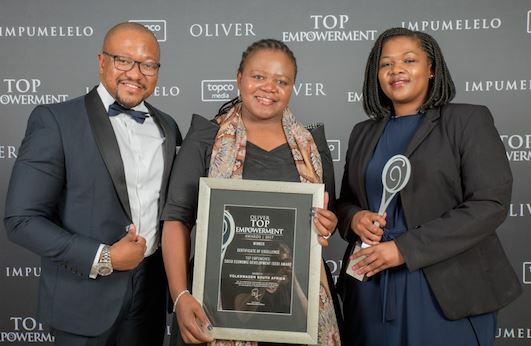 Volkswagen Group South Africa has walked away with the Socio-Economic Development Award at the annual Oliver Top Empowerment Awards ceremony, after being named a finalist in three categories - Socio-Economic Development, Skills Development as well as Enterprise and Supplier Development. The 16th Oliver Top Empowerment Awards recognise contribution and commitment of companies and individuals for their empowerment in South Africa. The awards are also aimed at acknowledging the efforts of businesses, civil society, public sector and outstanding individuals. Implementation of strategic B-BBEE policies, annual revenue, implementation of effective internal B-BBEE measurement mechanics and other areas of business are all taken into consideration in the selection of the winners of the respective categories. "Being named as a finalist was already an achievement and to be chosen as the winner in the Socio-Economic Development category was a testament to the fact that Volkswagen is making an impact in the area of socio economic development through its Volkswagen for Good initiatives. The entries are judged by a community of very influential judges from the South African business community, which makes this award a true accolade of distinction," said Thomas Schaefer, Chairman and Managing Director: Volkswagen Group South Africa. The Oliver Top Empowerment Awards have never been more relevant than it is today, against the backdrop of government's recent call for accelerated and radical economic transformation.